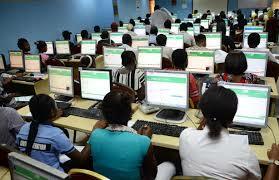 No extension for candidates’ registration -JAMB – Royal Times of Nigeria. 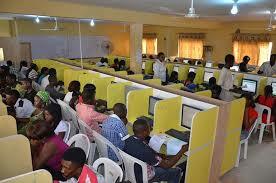 The Chairman, Governing Board of the Joint Admissions and Matriculation Board, Dr Emmanuel Ndukwe, has said that due to the observed seamlessness of the registration process for the 2019 Unified Tertiary Matriculation Examination, he does not foresee an extension of the registration date beyond the twenty-first of February. He made this known after monitoring the ongoing registration of candidates in Ha-Shem Academy centre, Iwaya, Federal College of Education (Technical) Akoka centre, and the Electronic Test Centre, Anthony in Lagos. He advised candidates to register now to avoid last minute rush. On the outcome of monitoring the centres and interacting with candidates, Ndukwe said he is satisfied that the complaints associated with cybercafes are now a thing of the past and the days of extorting candidates and poor data management are over. Ndukwe also warned CBT centre operators on sharp practices as he promised that offenders would be sanctioned.